THANKS TO YOU, JAMIE GOT A SECOND CHANCE THIS EASTER! Jamie grew up on the east coast. His parents owned businesses and spent long days away from home. He loved having the family beach house all to himself. You can imagine what that felt like to a teenager. Jamie got a fresh start, thanks to you! And he took full advantage of it! Riotous, endless parties. It was great! Until the easy drugs and alcohol got out of hand. Then when Jamie was just 19, a family tragedy sent him reeling. Within months, his fragile family fell apart. Finger pointing, blame shifting. Only more drugs deadened his pain. 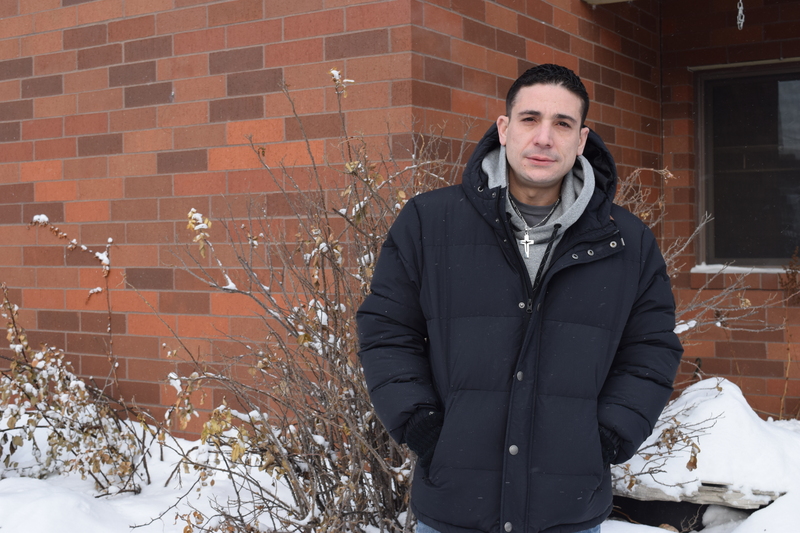 He tried to gain control, but couldn’t—even after 16 chemical dependency treatments. Jamie even came to the Mission for help a few years back, but wasn’t ready. “I still wanted to do things my own way,” he recalls. Finally, when he lost everything that mattered to him for the second time, he realized he had nothing left to lean on. “I didn’t want to die. I knew there had to be a better way,” he says. He committed to doing everything necessary to stay clean—read Scripture, follow the recovery steps. And God showed up. “I’ve learned that without God nothing is possible but with God everything is possible,” he says. Now as an intern in the program, Jamie has become a role model. 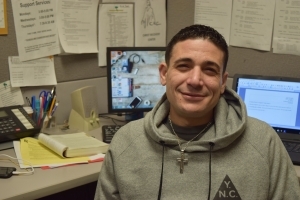 He also just his started chemical dependency counselor licensure training so he can turn his experiences into a life-sustaining career that helps others. “Giving back keeps me grounded and helps my recovery,” he says. And just in time for Easter, he’s giving of himself in an even more sacrificial way. 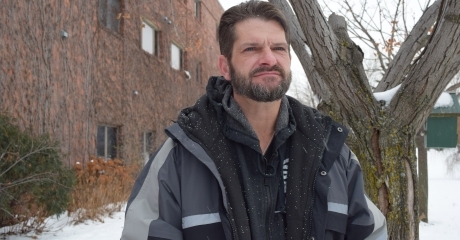 Jamie’s uncle needs a new kidney to save him from a life-threatening medical condition. Thanks to the recovery you’ve provided him, Jamie is able to donate a kidney! “I would not have been healthy enough in mind, body, and spirit to save my uncle’s life without the Christ Recovery Center,” Jamie believes. THE POWER OF THE CROSS COUPLED WITH YOUR GIFTS CHANGES LIVES! Meet people whose lives have been transformed with help from the Mission. And get inspired to be a part.